Fraser River Geese Sunset. 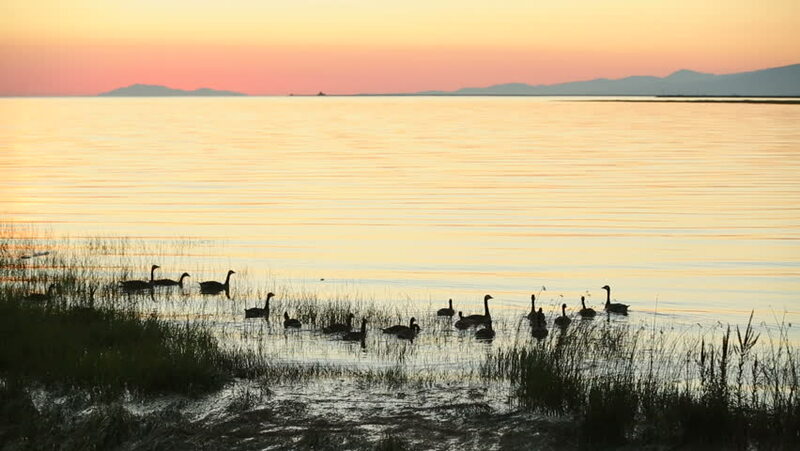 Geese feed at sunset at the mouth of the Fraser River looking across Georgia Strait at the Gulf Islands and Vancouver Island in the distance. British Columbia, Canada. hd00:35Sunset sea mountains beach sun sits downhill people on the beach.